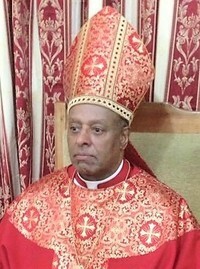 Bishop Michael C. Turner, Sr. is a native of Painter, Virginia. He is the son of the late Mrs. Margie Turner Gaskins. He was licensed to the Gospel Ministry at the New Mount Zion Baptist Church, Painter, Virginia (1974) by Reverend Dr. Willie A. Carter. He was ordained at the Metropolitan Baptist Church, Washington, D.C. (1980) by Reverend Dr. H. Beecher Hicks, Jr. He has been preaching the Gospel of Jesus Christ for 42 years. He pastored the Olney Street Baptist Church, Providence, Rhode Island (1981 to 1985). He also pastored the First Baptist Church of Deanwood, Washington, D.C. (1985 to 1991). He is married to Bishop Eunice Thomas Turner. Dr. Turner has two sons, Michael, Jr. and Thomas and two daughters, Mikea and Micole. In February of 1991, Dr. Turner was called to pastor eleven members of the Faith Missionary Baptist Church. On November 9, 2009, under the guidance of the Holy Spirit, the name was changed to "The Miracle Center" of Faith Missionary Baptist Church. Under his visionary leadership, the church has experienced tremendous growth. The Miracle Center recently sold their old church home for almost 4 million dollars. He has toured Russia, Israel, Italy, Japan, Thailand, Korea, Hong Kong, Singapore, Canada, Caribbean, Mexico, Australia, New Zealand, Zambia, Soweto, Johannesburg, Uganda, Zimbabwe, Jamaica, Dominican Republic, South America, Nigeria and Liberia. Bishop Turner is a member of the Phi Beta Sigma Fraternity. He is a 33rd Degree Mason. He served as the Editor of the official magazine for the Lott Carey Baptist Foreign Mission Convention. He has given spiritual guidance in the establishment of First New Horizon Baptist Church of Clinton, Maryland; The Faith Missionary Baptist Church of Beltsville, Maryland; The Faith Missionary Baptist Church of Mbale, Uganda; The Faith Missionary Baptist Church of Waldorf, Maryland; and Abundant Life Christian Ministries of Lanham, Maryland. He serves as Spiritual Leaders to Sure Word Believer Chapel International and Mount Zion Christ Miracle Healing Ministries. On March 5, 2016, he was anointed and consecrated to the Office of Bishorpric. He was reaffirmed as a bishop under Bishop Melvin G. Brown, December 23, 2016. 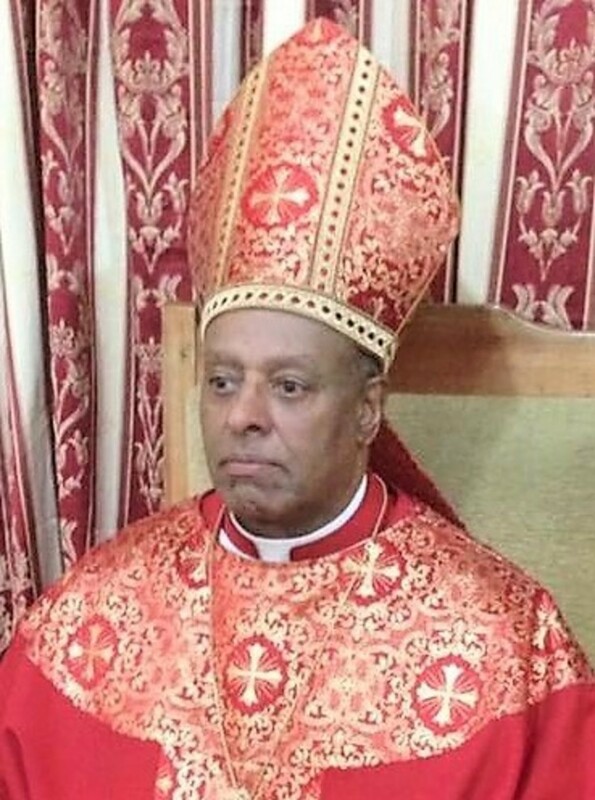 He is the founder and the Presiding Bishop of the International Evangelism Council of Bishops, December 15, 2016. He serves as Senior Pastor of The Miracle Center of Faith Missionary Baptist Church, "A Church Where Preaching Is Intentional; Bible Study Is Essential And Singing Is Empowering and Inspirational". Bishop Eunice Thomas Turner is a native of Washington, DC. She is the Assistant to Bishop Michael C. Turner, Sr. and First Lady of The Miracle Center of Faith Missionary Baptist Church, in Capitol Heights, Maryland. She is the proud mother of three sons and fifteen grandchildren. Bishop Turner retired from the Department of Education as a Human Resources Specialist in August 2005 after 40 years of Federal Service. She is one of twelve founders of The Miracle Center. Her membership at The Miracle Center has been marked by 25 years of committed service in numerous capacities: Deacon, Chair of the Deaconess Council, Chair of the Women’s Ministry, choir member, missionary and Sunday School teacher. On August 27, 2016, she was anointed and consecrated to the Office of Bishorpric. She was licensed to preach the Gospel on Saturday, September 11, 2010. She was ordained on Thanksgiving Day, Thursday, November 25, 2010. The Reverend Dr. E. E. Warren, Jr., pastor of the historic Whitestone Baptist Church, Baltimore, Maryland, delivered the ordination sermon. In 2001, Bishop Turner embarked on a two week preaching and teaching tour in Zambia, Africa. In assisting her husband, many souls were lead to the Lord. She has toured Dominican Republic, Cancun, Aruba, Nassau, Jamaica, and several parts of Africa. Bishop Turner serves as the Vice Chairperson of International Evangelism College of Bishops. 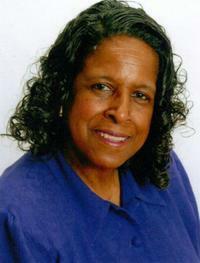 She is the Third Vice President of The District of Columbia Association of Ministers’ Wives and Ministers’ Widows. She is the First Vice President of The Baptist Ministers’ Wives and Widows Association of Washington, D.C. and Vicinity, Incorporated. 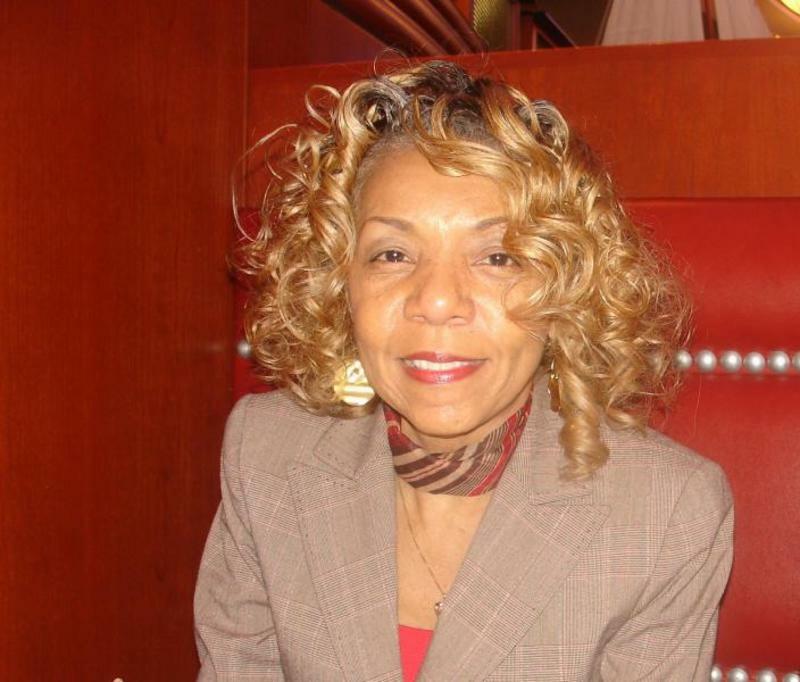 She serves as the current President of The Clergymates of Prince Georges County. Bishop Turner is a prayer warrior and leads a weekly prayer conference call every Wednesday with women who need encouragement and strength for the journey. Her motto is “If I can help somebody as I travel along, then my living shall not be in vain". Deacon Joyce J. Jenkins has served in numerous capacities and ministries since 1992 and is Chairperson of the Diaconate Board of The Miracle Center of Faith Missionary Baptist Church. She is a native of Farmville, NC and received her Bachelor of Science in the area of Business Education from North Carolina Central University, Durham, NC. Deacon Jenkins has served as treasurer, Sunday School teacher, Pastor’s Partners President, Women’s Ministry President, New Members Coordinator, September Tribe President and Chairperson for numerous Anniversary programs. She was ordained as a Deacon in 1992. Deacon Jenkins is a realtor and enjoyed a former occupation as an Information Systems Analyst in the federal government and private industry. She is the proud mother of three children and six grandchildren. She is married to Deacon Larry N. Jenkins. She has been shaped and molded by her humble but loving upbringing that taught her the value of family and compassion for others. Deacon Jenkins embraces and demonstrates the biblical mandate that declares “I am my brother’s keeper”. Her concern and care for others is evident in all areas of ministry. In her daily walk, she clings to Romans 8:28 and declares that “all things are working for my good”. Bishop Rosetta Lee Skates is a native of Kincaid, West Virginia and was licensed to preach the Gospel Ministry at the Faith Missionary Baptist Church, Capitol Heights, MD (2000) by Reverend Dr. Michael C. Turner, Pastor. She was ordained October 1, 2004 by Reverend Dr. Michael C. Turner. She was appointed to be the Executive Director of the Miracle Community Development Corporation on May 1, 2011. As a retired CIA Federal Government worker, Bishop Skates serves as Associate Minister and President of the Minister’s Council. She has served as Youth Minister and Chapel Teacher for the Summer Youth Camp Program. She is a Substitute Teacher and Guidance Counselor at various High, Middle and Elementary Schools in the Prince George’s County. Bishop Skates is detailed oriented, organized, creative and flexible. She has the ability to multi-task and possesses interpersonal skills. Bishop Skates has completed a one year assignment as Executive Minister of the Faith Missionary Baptist Church of LaPlata. 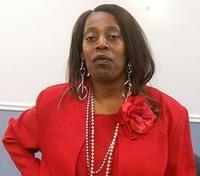 She is currently serving as the Executive Director of the Faith Outreach Development Corporation. Her primary responsibility is to lead the Job Placement program. This extends to resume preparation, job interview techniques and assisting others in finding employment via newspapers, websites, word of mouth, and advertised job fairs. Bishop Skates is married to Glenn W. Skates and lives by her most famous quote "It's All About Love"
Deacon Brenda D. Coley was born and raised in Washington, DC. She is the oldest of four children. She was educated in the District of Columbia Public School system. Deacon Coley received her Bachelor of Science degree from The District of Columbia Teachers College, Washington, DC and her Master of Arts in Teaching from Trinity College, Washington, DC. Deacon Brenda D. Coley, one of the co-founders of Faith Missionary Baptist Church and chairperson of the Board of Christian Education Deacon Coley was ordained as a deacon in 1993. She is a member of the Diaconate Board, president of the July Tribe, Assistant Treasurer, member of the Finance Team and Women’s Ministry. Deacon Coley taught in the District of Columbia Public School system and retired after 38 years of dedicated service. She was a classroom teacher and a math resource teacher. During her teaching career she served in many capacities. 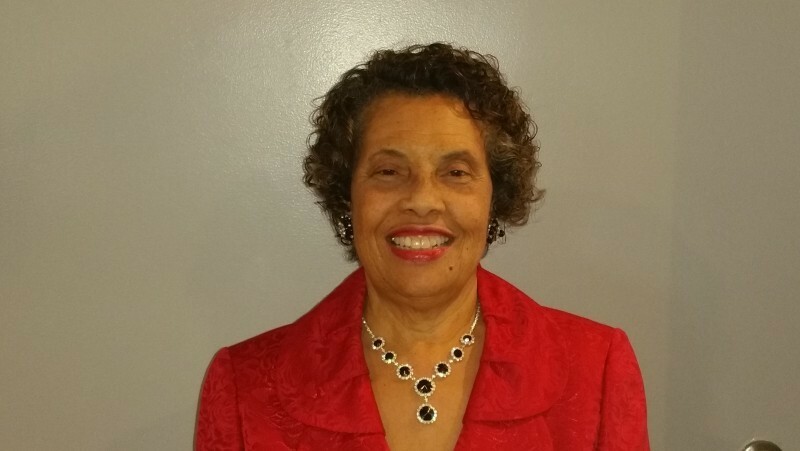 She served as grade level chairperson/team leader, recording secretary for the PTA, cooperating teacher for student teachers from the University of the District of Columbia and Howard University. She was master teacher for a student in the Systematic Teacher Preparation Program and Cadre/Demonstration Teacher. She served on the math textbook adoption committee and helped facilitate training for its use. She helped facilitate staff development sessions for staff members. She team taught The Responsive Classroom class. Deacon Coley was nominated for the Presidential Award for Excellence in Mathematics and Science. Her list of accomplishments also include, past instructor for the church’s Sunday School and Bible Study classes. Secretary of the Eastern Region (PNBC), secretary of the Board of Education and Publication (PNBC) and secretary of ABCOTS Women – Area 1.